Hand hoist is a simple, easy to carry hand lifting tool. Lever hoist can be improved, traction, descent, calibration and other operations. 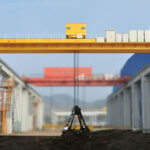 Lifting capacity generally not more than 50T. It is widely used in the installation of equipment in shipbuilding, electric power, transportation, construction, mining, post and telecommunications and other industries, such as lifting articles, pulling machine parts and so on. 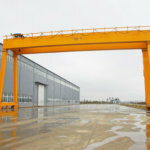 It is strictly forbidden to use overloading, strictly prohibit the use of lengthened handles without authorization, and strictly prohibit the use of other power operations outside of manpower. In the case of lifting heavy objects, people are strictly forbidden to do any work or walk under heavy objects to prevent accidents. 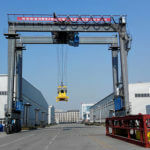 Before use, it must be confirmed that the machine parts are intact, the transmission parts and the lifting chain are lubricated well and the empty turn is normal. Check whether the hooked hook is fastened or not before use.The load should be added to the centre of the hook cavity.The lifting chain must not have the wrong twisting and bending chain to ensure safety. If the hand is found to pull the force, the use should be stopped immediately and checked. 6.2 There is no damage to the hoist machine parts. 6.3 Whether the weight of the weight exceeds the rated load of the gourd. No illegal operation is not allowed, and the gourd is not allowed to be placed in the rain or very humid places. It is strictly forbidden to turn the hooked hook of 6 tons of gourd into the middle of the two line chain. Safety inspection of hand-held hoist should be done before use, including the serious wear and tear of the jaw of the hand hoist, whether the wire rope should be changed, and whether the brake surface is contaminated by sludge. When used, it must be used according to the standard of hand hoist. It is not allowed to lengthen the length of wrench freely, so it cannot be overloaded, so as to avoid danger in the course of using. Attention should be paid to timely cleaning after hand hoist operation. After the inspection and repair, no load test and heavy load test shall be carried out. After hand hoist is finished, it should be kept well in ventilated and dry place. After the use of the hand hoist, the gourd should be cleaned and coated with antirust grease and stored in a dry place. maintenance and maintenance should be carried out by those who are familiar with the hand hoist mechanism to prevent random disassembly and disassembly of the machine’s performance principle. the gear installation is operated according to the drawing. When the grooved nut is installed, the handwheel should be rotated in the direction of clockwise, so that the ratchet and the friction plate are pressed tight on the brake gas seat on the slot type nut. After the hand hoist is cleaned and overhauled, the empty and heavy load test should be carried out to confirm that the work is normal and automatic.The friction surface of the brake must be kept clean, and the sludge polluted by the sludge is strictly prohibited. non-load test: three times when no load is loaded, the forward rod and the reverse rod are wrenched, and the working condition of the mechanism should be observed without the phenomenon of blocking. 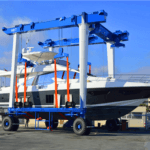 dynamic load test: on the special test-bed, it will be loaded at 1.1 times rated load and rise and fall each time. The wire rope moving distance should not be less than 200mm each time. The whole machine should work stably and reliably. static load test: on the special test stand, it will gradually load to 1.5 times rated load, stay 10min, clamp and clamping plate shall not affect permanent deformation of service performance. On the material testing machine, the hook cavity centre is gradually loaded to 4 times the rated load, and the hook should be able to support 1min reliably. 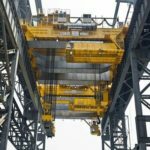 Reliability test: under the rated load, the forward and reverse rods are continuously moved to and fro, so that the cumulative travel time of the wire rope is less than 120m. 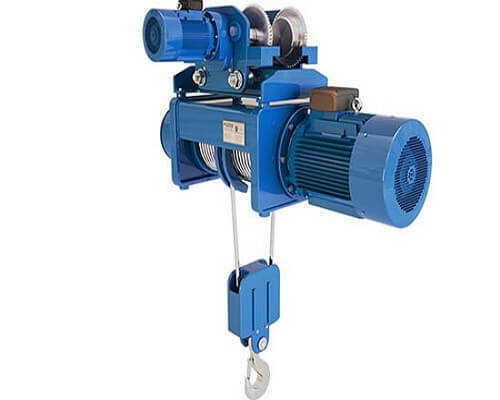 It can be divided into four times, but each time it takes place, but the cumulative travel time of each wire rope is 30m, and the interval between each time is no more than 1h.Replacement of wire rope is not allowed in the test.There must be no abnormal phenomena in all parts of the hand hoist.